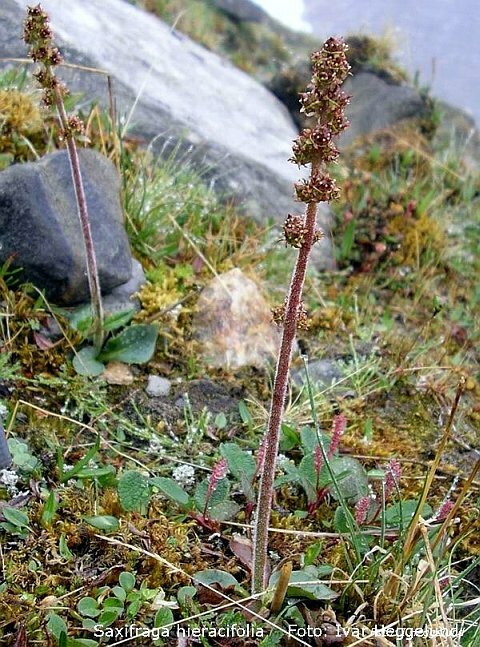 Stivsildre Saxifraga hieracifolia (Waldst. & Kit. ex Willd.) Haw. Synonym: Micranthes hieracifolia Waldst. & Kit. ex Willd. en korgplante hos Dioskorides og Plinius.